two teams were named co-champions for the first time in league history. We would like to apologize to our fans as we weren't able to name a clear champion for the 2018 season, but this league recognizes that these players are student-athletes first and foremost and many of their school years are set to begin. We wanted to give them the chance to get home and prepare for the upcoming fall semester that is quickly approaching. The league had scheduled for the season to end on Sunday the 12th. Once game 2 was rained out on Saturday and pushed to Sunday, we were forced to extend the season one more day. As a result, we asked the players to stay one day longer than we promised to keep them. It is an unfortunate set of circumstances but the league had to make the tough decisions and make the best of it. 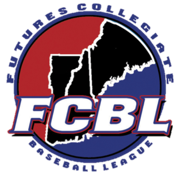 The Futures League couldn't be more proud of the co-champion Sharks and Bravehearts and the rest of the participating teams in the league on a great season of New England summer baseball and we can't wait for the beginning of the next season and what that has in store for 2019.